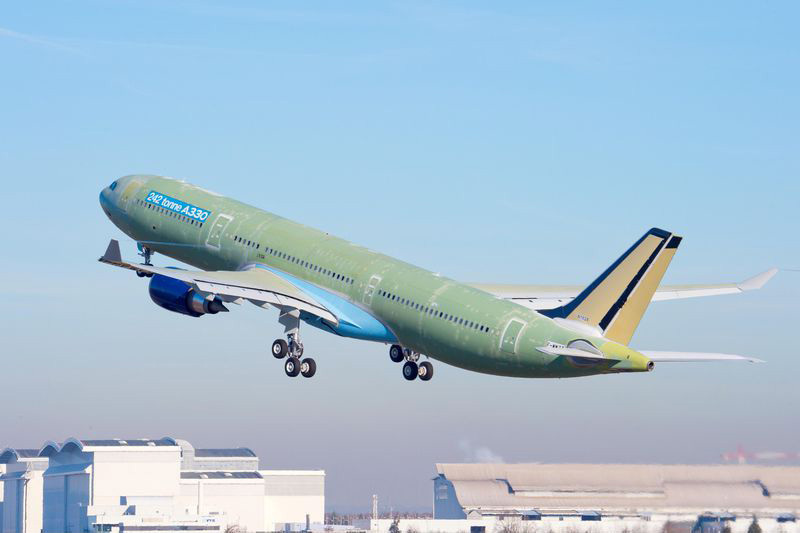 The latest variant of the Airbus A330 – the new 242 metric tonne A330-300 – has achieved certification from the European airworthiness authorities (EASA) following a 100 hour flight-test campaign. Certification from the US authorities (FAA) is also expected soon. Delta Air Lines will be the world’s first customer. Furthermore, and in the near future, the smaller A330-200 model will follow the -300 by benefiting from the 242t take-off weight capability. To date 11 customers have already selected their new A330s to have a 242t capability. The initial certified A330-300 242t aircraft is powered by CF6-80E1 engines and certification with the other engine types – the PW4000 and Trent 700 – will follow. The flight-test campaign of approximately 100 hours was shared between two aircraft: an Airbus test aircraft (MSN0871) which was used to validate some aerodynamic refinements, and a new production aircraft (MSN1628) whose tasks included the validation of the *centre tank activation and overall performance effect on the larger A330-300 platform. 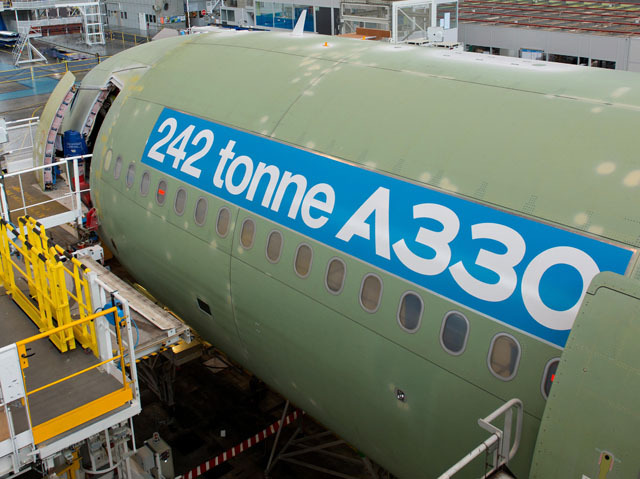 Notably, the 242t A330’s structure is also the basis for development of the forthcoming A330neo. The combination of the increased take-off weight, aerodynamic improvements and the optional fuel capacity boost – compared with the previous 235t version – means that the new 242t A330-300 is capable of flying missions of up to 15 hours, or carry more payload over existing routes. In practice this means that it will allow operators to fly directly between Europe and south-East Asia and could be used for more than 90 percent of typical routes from London airports. * The centre tank is activated as standard on the A330-200, and is now activated for the first time on the larger A330-300 with the new 242t version.